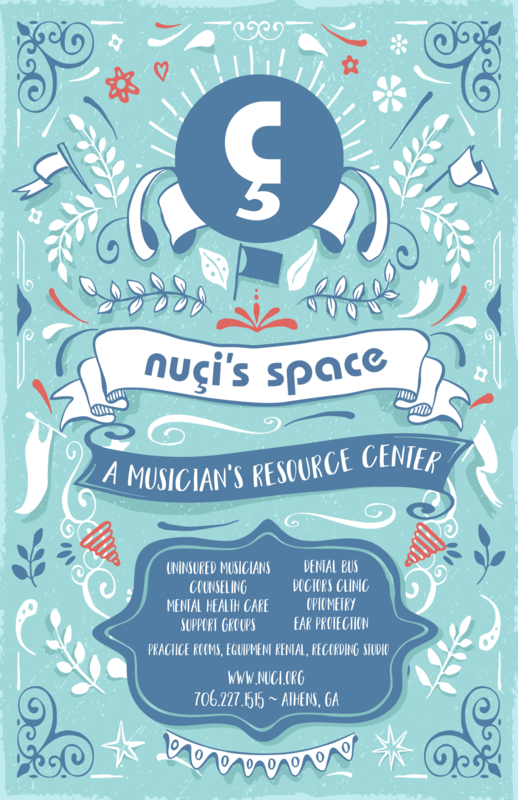 Nuci’s Space wanted a poster to hang in the green rooms of local venues to advertise their services to traveling musicians. This was the option they chose. We’re again honored to work for such a benevolent and important cause.